A breeder reactor is a nuclear reactor that generates more fissile material than it consumes. These devices achieve this because their neutron economy is high enough to breed more fissile fuel than they use from fertile material, such as uranium-238 or thorium-232. Breeders were at first found attractive because their fuel economy was better than light water reactors, but interest declined after the 1960s as more uranium reserves were found, and new methods of uranium enrichment reduced fuel costs. Breeder reactors could, in principle, extract almost all of the energy contained in uranium or thorium, decreasing fuel requirements by a factor of 100 compared to widely used once-through light water reactors, which extract less than 1% of the energy in the uranium mined from the earth. The high fuel efficiency of breeder reactors could greatly reduce concerns about fuel supply or energy used in mining. Adherents claim that with seawater uranium extraction, there would be enough fuel for breeder reactors to satisfy our energy needs for 5 billion years at 1983's total energy consumption rate, thus making nuclear energy effectively a renewable energy. Nuclear waste became a greater concern by the 1990s. In broad terms, spent nuclear fuel has two main components. The first consists of fission products, the leftover fragments of fuel atoms after they have been split to release energy. Fission products come in dozens of elements and hundreds of isotopes, all of them lighter than uranium. The second main component of spent fuel is transuranics (atoms heavier than uranium), which are generated from uranium or heavier atoms in the fuel when they absorb neutrons but do not undergo fission. All transuranic isotopes fall within the actinide series on the periodic table, and so they are frequently referred to as the actinides. The physical behavior of the fission products is markedly different from that of the transuranics. In particular, fission products do not themselves undergo fission, and therefore cannot be used for nuclear weapons. Furthermore, only seven long-lived fission product isotopes have half-lives longer than a hundred years, which makes their geological storage or disposal less problematic than for transuranic materials. With increased concerns about nuclear waste, breeding fuel cycles became interesting again because they can reduce actinide wastes, particularly plutonium and minor actinides. Breeder reactors are designed to fission the actinide wastes as fuel, and thus convert them to more fission products. After "spent nuclear fuel" is removed from a light water reactor, it undergoes a complex decay profile as each nuclide decays at a different rate. Due to a physical oddity referenced below, there is a large gap in the decay half-lives of fission products compared to transuranic isotopes. If the transuranics are left in the spent fuel, after 1,000 to 100,000 years, the slow decay of these transuranics would generate most of the radioactivity in that spent fuel. Thus, removing the transuranics from the waste eliminates much of the long-term radioactivity of spent nuclear fuel. Today's commercial light water reactors do breed some new fissile material, mostly in the form of plutonium. Because commercial reactors were never designed as breeders, they do not convert enough uranium-238 into plutonium to replace the uranium-235 consumed. Nonetheless, at least one-third of the power produced by commercial nuclear reactors comes from fission of plutonium generated within the fuel. Even with this level of plutonium consumption, light water reactors consume only part of the plutonium and minor actinides they produce, and nonfissile isotopes of plutonium build up, along with significant quantities of other minor actinides. One measure of a reactor's performance is the "conversion ratio" (the average number of new fissile atoms created per fission event). All proposed nuclear reactors except specially designed and operated actinide burners experience some degree of conversion. As long as there is any amount of a fertile material within the neutron flux of the reactor, some new fissile material is always created. The ratio of new fissile material in spent fuel to fissile material consumed from the fresh fuel is known as the "conversion ratio" or "breeding ratio" of a reactor. For example, commonly used light water reactors have a conversion ratio of approximately 0.6. Pressurized heavy water reactors (PHWR) running on natural uranium have a conversion ratio of 0.8. In a breeder reactor, the conversion ratio is higher than 1. "Breakeven" is achieved when the conversion ratio becomes 1: the reactor produces as much fissile material as it uses. "Doubling time" is the amount of time it would take for a breeder reactor to produce enough new fissile material to create a starting fuel load for another nuclear reactor. This was considered an important measure of breeder performance in early years, when uranium was thought to be scarce. However, since uranium is more abundant than thought, and given the amount of plutonium available in spent reactor fuel, doubling time has become a less important metric in modern breeder reactor design. "Burnup" is a measure of how much energy has been extracted from a given mass of heavy metal in fuel, often expressed (for power reactors) in terms of gigawatt-days per ton of heavy metal. Burnup is an important factor in determining the types and abundances of isotopes produced by a fission reactor. Breeder reactors, by design, have extremely high burnup compared to a conventional reactor, as breeder reactors produce much more of their waste in the form of fission products, while most or all of the actinides are meant to be fissioned and destroyed. In the past breeder reactor development focused on reactors with low breeding ratios, from 1.01 for the Shippingport Reactor running on thorium fuel and cooled by conventional light water to over 1.2 for the Soviet BN-350 liquid-metal-cooled reactor. Theoretical models of breeders with liquid sodium coolant flowing through tubes inside fuel elements ("tube-in-shell" construction) suggest breeding ratios of at least 1.8 are possible on an industrial scale. 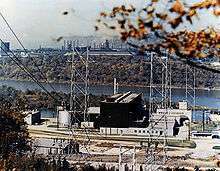 The Soviet BR-1 test reactor achieved a breeding ratio of 2.5 under non-commercial conditions. Production of heavy transuranic actinides in current thermal-neutron fission reactors through neutron capture and decays. Starting at uranium-238, isotopes of plutonium, americium, and curium are all produced. In a fast neutron breeder reactor, all these isotopes may be burned as fuel. A 'breeder' is simply a reactor designed for very high neutron economy with an associated conversion rate higher than 1.0. In principle, almost any reactor design could possibly be tweaked to become a breeder. An example of this process is the evolution of the Light Water Reactor, a very heavily moderated thermal design, into the Super Fast Reactor  concept, using light water in an extremely low-density supercritical form to increase the neutron economy high enough to allow breeding. Aside from water cooled, there are many other types of breeder reactor currently envisioned as possible. These include molten-salt cooled, gas cooled, and liquid metal cooled designs in many variations. Almost any of these basic design types may be fueled by uranium, plutonium, many minor actinides, or thorium, and they may be designed for many different goals, such as creating more fissile fuel, long-term steady-state operation, or active burning of nuclear wastes. For convenience, it is perhaps simplest to divide the extant reactor designs into two broad categories based upon their neutron spectrum, which has the natural effect of dividing the reactor designs into those designed to use primarily uranium and transuranics, and those designed to use thorium and avoid transuranics. Fast breeder reactor or FBR uses fast (unmoderated) neutrons to breed fissile plutonium and possibly higher transuranics from fertile uranium-238. The fast spectrum is flexible enough that it can also breed fissile uranium-233 from thorium, if desired. Thermal breeder reactor use thermal spectrum (moderated) neutrons to breed fissile uranium-233 from thorium (thorium fuel cycle). Due to the behavior of the various nuclear fuels, a thermal breeder is thought commercially feasible only with thorium fuel, which avoids the buildup of the heavier transuranics. Fission of the nuclear fuel in any reactor produces neutron-absorbing fission products. Because of this unavoidable physical process, it is necessary to reprocess the fertile material from a breeder reactor to remove those neutron poisons. This step is required if one is to fully utilize the ability to breed as much or more fuel than is consumed. All reprocessing can present a proliferation concern, since it extracts weapons usable material from spent fuel. The most common reprocessing technique, PUREX, presents a particular concern, since it was expressly designed to separate pure plutonium. Early proposals for the breeder reactor fuel cycle posed an even greater proliferation concern because they would use PUREX to separate plutonium in a highly attractive isotopic form for use in nuclear weapons. Several countries are developing reprocessing methods that do not separate the plutonium from the other actinides. For instance, the non-water based pyrometallurgical electrowinning process, when used to reprocess fuel from an integral fast reactor, leaves large amounts of radioactive actinides in the reactor fuel. More conventional advanced, water-based reprocessing systems like PUREX, include SANEX, UNEX, DIAMEX, COEX, and TRUEX—as well as proposals to combine PUREX with co-processes. All these systems have better proliferation resistance than PUREX, though their adoption rate is low. In the thorium cycle, thorium-232 breeds by converting first to protactinium-233, which then decays to uranium-233. If the protactinium remains in the reactor, small amounts of U-232 are also produced, which has the strong gamma emitter Tl-208 in its decay chain. Similar to uranium-fueled designs, the longer the fuel and fertile material remain in the reactor, the more of these undesirable elements build up. Inside the envisioned commercial thorium reactors high levels of U232 would be allowed to accumulate, leading to extremely high gamma radiation doses from any uranium derived from thorium. These gamma rays complicate the safe handling of a weapon and the design of its electronics; this explains why U-233 has never been pursued for weapons beyond proof-of-concept demonstrations. Nuclear waste became a greater concern by the 1990s. Breeding fuel cycles attracted renewed interest because of their potential to reduce actinide wastes, particularly plutonium and minor actinides. Since breeder reactors on a closed fuel cycle would use nearly all of the actinides fed into them as fuel, their fuel requirements would be reduced by a factor of about 100. The volume of waste they generate would be reduced by a factor of about 100 as well. While there is a huge reduction in the volume of waste from a breeder reactor, the activity of the waste is about the same as that produced by a light water reactor. In addition, the waste from a breeder reactor has a different decay behavior, because it is made up of different materials. Breeder reactor waste is mostly fission products, while light water reactor waste has a large quantity of transuranics. After spent nuclear fuel has been removed from a light water reactor for longer than 100,000 years, these transuranics would be the main source of radioactivity. Eliminating them would eliminate much of the long-term radioactivity from the spent fuel. In principle, breeder fuel cycles can recycle and consume all actinides, leaving only fission products. As the graphic in this section indicates, fission products have a peculiar 'gap' in their aggregate half-lives, such that no fission products have a half-life longer than 91 years and shorter than two hundred thousand years. As a result of this physical oddity, after several hundred years in storage, the activity of the radioactive waste from a Fast Breeder Reactor would quickly drop to the low level of the long-lived fission products. However, to obtain this benefit requires the highly efficient separation of transuranics from spent fuel. If the fuel reprocessing methods used leave a large fraction of the transuranics in the final waste stream, this advantage would be greatly reduced. The fast breeder reactor's fast neutrons can fission actinide nuclei with even numbers of both protons and neutrons. Such nuclei usually lack the low-speed "thermal neutron" resonances of fissile fuels used in LWRs. The thorium fuel cycle inherently produces lower levels of heavy actinides. The fertile material in the thorium fuel cycle has an atomic weight of 232, while the fertile material in the uranium fuel cycle has an atomic weight of 238. That mass difference means that thorium-232 requires six more neutron capture events per nucleus before the transuranic elements can be produced. In addition to this simple mass difference, the reactor gets two chances to fission the nuclei as the mass increases: First as the effective fuel nuclei U233, and as it absorbs two more neutrons, again as the fuel nuclei U235. A reactor whose main purpose is to destroy actinides, rather than increasing fissile fuel stocks, is sometimes known as a burner reactor. Both breeding and burning depend on good neutron economy, and many designs can do either. Breeding designs surround the core by a breeding blanket of fertile material. Waste burners surround the core with non-fertile wastes to be destroyed. Some designs add neutron reflectors or absorbers. Reactors with a fast neutron spectrum are called fast breeder reactors (FBR) – these typically utilize uranium-238 as fuel. Reactors with a thermal neutron spectrum are called thermal breeder reactors – these typically utilize thorium-232 as fuel. Schematic diagram showing the difference between the Loop and Pool types of LMFBR. Gas-Cooled Fast Reactor (GFR) cooled by helium. Sodium-Cooled Fast Reactor (SFR) based on the existing Liquid Metal FBR (LMFBR) and Integral Fast Reactor designs. Lead-Cooled Fast Reactor (LFR) based on Soviet naval propulsion units. Supercritical Water Reactor (SCWR) based on existing LWR and supercritical boiler technology. FBRs usually use a mixed oxide fuel core of up to 20% plutonium dioxide (PuO2) and at least 80% uranium dioxide (UO2). Another fuel option is metal alloys, typically a blend of uranium, plutonium, and zirconium (used because it is "transparent" to neutrons). Enriched uranium can also be used on its own. 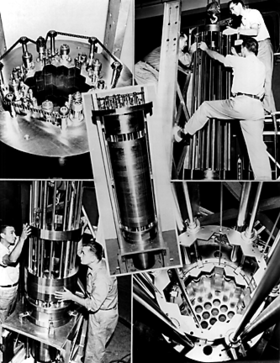 Many designs surround the core in a blanket of tubes that contain non-fissile uranium-238, which, by capturing fast neutrons from the reaction in the core, converts to fissile plutonium-239 (as is some of the uranium in the core), which is then reprocessed and used as nuclear fuel. 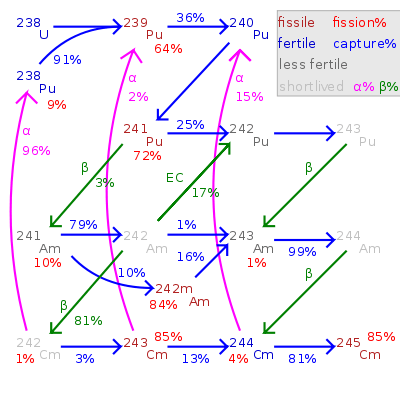 Other FBR designs rely on the geometry of the fuel itself (which also contains uranium-238), arranged to attain sufficient fast neutron capture. The plutonium-239 (or the fissile uranium-235) fission cross-section is much smaller in a fast spectrum than in a thermal spectrum, as is the ratio between the 239Pu/235U fission cross-section and the 238U absorption cross-section. This increases the concentration of 239Pu/235U needed to sustain a chain reaction, as well as the ratio of breeding to fission. On the other hand, a fast reactor needs no moderator to slow down the neutrons at all, taking advantage of the fast neutrons producing a greater number of neutrons per fission than slow neutrons. For this reason ordinary liquid water, being a moderator as well as a neutron absorber, is an undesirable primary coolant for fast reactors. Because large amounts of water in the core are required to cool the reactor, the yield of neutrons and therefore breeding of 239Pu are strongly affected. Theoretical work has been done on reduced moderation water reactors, which may have a sufficiently fast spectrum to provide a breeding ratio slightly over 1. 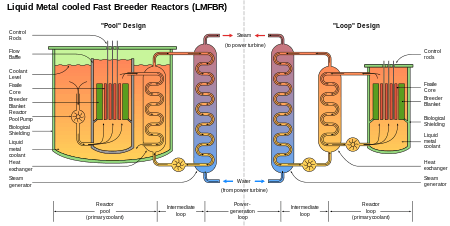 This would likely result in an unacceptable power derating and high costs in an liquid-water-cooled reactor, but the supercritical water coolant of the SCWR has sufficient heat capacity to allow adequate cooling with less water, making a fast-spectrum water-cooled reactor a practical possibility. The only commercially operating reactor as of 2015 is the BN-600 reactor in Russia, a 560MW sodium cooled reactor. One design of fast neutron reactor, specifically designed to address the waste disposal and plutonium issues, was the integral fast reactor (also known as an integral fast breeder reactor, although the original reactor was designed to not breed a net surplus of fissile material). To solve the waste disposal problem, the IFR had an on-site electrowinning fuel reprocessing unit that recycled the uranium and all the transuranics (not just plutonium) via electroplating, leaving just short half-life fission products in the waste. Some of these fission products could later be separated for industrial or medical uses and the rest sent to a waste repository (where they would not have to be stored for anywhere near as long as wastes containing long half-life transuranics). The IFR pyroprocessing system uses molten cadmium cathodes and electrorefiners to reprocess metallic fuel directly on-site at the reactor. Such systems not only commingle all the minor actinides with both uranium and plutonium, they are compact and self-contained, so that no plutonium-containing material ever needs to be transported away from the site of the breeder reactor. Breeder reactors incorporating such technology would most likely be designed with breeding ratios very close to 1.00, so that after an initial loading of enriched uranium and/or plutonium fuel, the reactor would then be refueled only with small deliveries of natural uranium metal. A quantity of natural uranium metal equivalent to a block about the size of a milk crate delivered once per month would be all the fuel such a 1 gigawatt reactor would need. Such self-contained breeders are currently envisioned as the final self-contained and self-supporting ultimate goal of nuclear reactor designers. The project was canceled in 1994 by United States Secretary of Energy Hazel O'Leary. Another proposed fast reactor is a fast molten salt reactor, in which the molten salt's moderating properties are insignificant. This is typically achieved by replacing the light metal fluorides (e.g. LiF, BeF2) in the salt carrier with heavier metal chlorides (e.g., KCl, RbCl, ZrCl4). Several prototype FBRs have been built, ranging in electrical output from a few light bulbs' equivalent (EBR-I, 1951) to over 1,000 MWe. As of 2006, the technology is not economically competitive to thermal reactor technology—but India, Japan, China, South Korea and Russia are all committing substantial research funds to further development of Fast Breeder reactors, anticipating that rising uranium prices will change this in the long term. Germany, in contrast, abandoned the technology due to safety concerns. The SNR-300 fast breeder reactor was finished after 19 years despite cost overruns summing up to a total of 3.6 billion Euros, only to then be abandoned. As well as their thermal breeder program, India is also developing FBR technology, using both uranium and thorium feedstocks. The advanced heavy water reactor (AHWR) is one of the few proposed large-scale uses of thorium. India is developing this technology, their interest motivated by substantial thorium reserves; almost a third of the world's thorium reserves are in India, which also lacks significant uranium reserves. The third and final core of the Shippingport Atomic Power Station 60 MWe reactor was a light water thorium breeder, which began operating in 1977. It used pellets made of thorium dioxide and uranium-233 oxide; initially, the U-233 content of the pellets was 5–6% in the seed region, 1.5–3% in the blanket region and none in the reflector region. It operated at 236 MWt, generating 60 MWe and ultimately produced over 2.1 billion kilowatt hours of electricity. After five years, the core was removed and found to contain nearly 1.4% more fissile material than when it was installed, demonstrating that breeding from thorium had occurred. The liquid fluoride thorium reactor (LFTR) is also planned as a thorium thermal breeder. Liquid-fluoride reactors may have attractive features, such as inherent safety, no need to manufacture fuel rods and possibly simpler reprocessing of the liquid fuel. This concept was first investigated at the Oak Ridge National Laboratory Molten-Salt Reactor Experiment in the 1960s. From 2012 it became the subject of renewed interest worldwide. Japan, China, the UK, as well as private US, Czech and Australian companies have expressed intent to develop and commercialize the technology. It was expected that uranium would be scarce and high-grade deposits would quickly become depleted if fission power were deployed on a large scale; the reality, however, is that since the end of the cold war, uranium has been much cheaper and more abundant than early designers expected. It was expected that breeder reactors would quickly become economically competitive with the light-water reactors that dominate nuclear power today, but the reality is that capital costs are at least 25% more than water cooled reactors. It was thought that breeder reactors could be as safe and reliable as light-water reactors, but safety issues are cited as a concern with fast reactors that use a sodium coolant, where a leak could lead to a sodium fire. It was expected that the proliferation risks posed by breeders and their “closed” fuel cycle, in which plutonium would be recycled, could be managed. But since plutonium breeding reactors produce plutonium from U238, and thorium reactors produce fissile U233 from thorium, all breeding cycles could theoretically pose proliferation risks. There are some past anti-nuclear advocates that have become pro-nuclear power as a clean source of electricity since breeder reactors effectively recycle most of their waste. This solves one of the most important negative issues of nuclear power. In the documentary Pandora's Promise, a case is made for breeder reactors because they provide a real, high kW alternative to fossil fuel energy. According to the movie, one pound of uranium provides as much energy as 5000 barrels of oil. FBRs have been built and operated in the United States, the United Kingdom, France, the former USSR, India and Japan. The experimental FBR SNR-300 was built in Germany but never operated and eventually shut down amid political controversy following the Chernobyl disaster. As of 2014 one such reactor was being used for power generation, with another scheduled for early 2015. Several reactors are planned, many for research related to the Generation IV reactor initiative. The Soviet Union (comprising Russia and other countries, dissolved in 1991) constructed a series of fast reactors, the first being mercury-cooled and fueled with plutonium metal, and the later plants sodium-cooled and fueled with plutonium oxide. BR-1 (1955) was 100W (thermal) was followed by BR-2 at 100 kW and then the 5MW BR-5. BOR-60 (first criticality 1969) was 60 MW, with construction started in 1965. India has been a early leader in the FBR segment and is currently rolling out the next phase of their program. In 2012 an FBR called the Prototype Fast Breeder Reactor was under construction in India, due to be completed that year, with commissioning date known by mid-year. The FBR program of India includes the concept of using fertile thorium-232 to breed fissile uranium-233. India is also pursuing the thorium thermal breeder reactor. A thermal breeder is not possible with purely uranium/plutonium based technology. Thorium fuel is the strategic direction of the power program of India, owing to the nation's large reserves of thorium, but worldwide known reserves of thorium are also some four times those of uranium. India's Department of Atomic Energy (DAE) said in 2007 that it would simultaneously construct four more breeder reactors of 500 MWe each including two at Kalpakkam. BHAVINI, an Indian nuclear power company was established in 2003 responsible for the construction, commissioning and operation of all Stage II fast breeder reactors envisaged as part of the country’s three stage nuclear power programme. The new Indian FBR-600 is being used to advance these plans. The FBR-600 is a pool-type sodium cooled reactor with a rating of 600MWe and advanced active and passive safety features. The Chinese Experimental Fast Reactor is a 65 MW (thermal), 20 MW (electric), sodium-cooled, pool-type reactor with a 30-year design lifetime and a target burnup of 100 MWd/kg. The China Experimental Fast Reactor (CEFR) is a 25 MW(e) prototype for the planned China Prototype Fast Reactor (CFRP). It started generating power on 21 July 2011. China also initiated a research and development project in thorium molten-salt thermal breeder reactor technology (Liquid fluoride thorium reactor), formally announced at the Chinese Academy of Sciences (CAS) annual conference in January 2011. Its ultimate target is to investigate and develop a thorium-based molten salt nuclear system over about 20 years. Kirk Sorensen, former NASA scientist and Chief Nuclear Technologist at Teledyne Brown Engineering, has long been a promoter of thorium fuel cycle and particularly liquid fluoride thorium reactors. In 2011, Sorensen founded Flibe Energy, a company aimed to develop 20-50 MW LFTR reactor designs to power military bases. South Korea is developing a design for a standardized modular FBR for export, to complement the standardized PWR (Pressurized Water Reactor) and CANDU designs they have already developed and built, but has not yet committed to building a prototype. A cutaway model of the BN-600 reactor, superseded by the BN-800 reactor family. Russia has a plan for increasing its fleet of fast breeder reactors significantly. A BN-800 reactor (800 MWe) at Beloyarsk was completed in 2012, succeeding a smaller BN-600. In June 2014 the BN-800 was started in the minimum power mode. The reactor working at 35% of the nominal efficiency, was plugged-in the energy network on 10 December 2015. Plans for the construction of an even larger BN-1200 reactor (1,200 MWe) initially anticipated completion in 2018, with two additional BN-1200 reactors built by the end of 2030. However, in 2015 Rosenergoatom postponed construction indefinitely to allow fuel design to be improved after more experience of operating the BN-800 reactor, and amongst cost concerns. 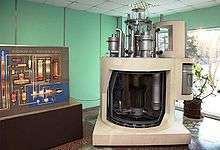 An experimental lead-cooled fast reactor, BREST-300 will be built at the Siberian Chemical Combine (SCC) in Seversk. The BREST design is seen as a successor to the BN series and the 300 MWe unit at the SCC could be the forerunner to a 1,200 MWe version for wide deployment as a commercial power generation unit. The development program is as part of an Advanced Nuclear Technologies Federal Program 2010-2020 that seeks to exploit fast reactors as a way to be vastly more efficient in the use of uranium while 'burning' radioactive substances that otherwise would have to be disposed of as waste. BREST refers to bystry reaktor so svintsovym teplonositelem, Russian for 'fast reactor with lead coolant'. Its core would measure about 2.3 metres in diameter by 1.1 metres in height and contain 16 tonnes of fuel. The unit would be refuelled every year, with each fuel element spending five years in total within the core. Lead coolant temperature would be around 540 °C, giving a high efficiency of 43%, primary heat production of 700 MWt yielding electrical power of 300 MWe. The operational lifespan of the unit could be 60 years. The design is expected to be completed by NIKIET in 2014 for construction between 2016 and 2020. On February 16, 2006, the U.S., France and Japan signed an "arrangement" to research and develop sodium-cooled fast reactors in support of the Global Nuclear Energy Partnership. In April 2007 the Japanese government selected Mitsubishi Heavy Industries as the "core company in FBR development in Japan". Shortly thereafter, MHI started a new company, Mitsubishi FBR Systems (MFBR) to develop and eventually sell FBR technology. The Marcoule Nuclear Site in France, location of the Phénix (on the left) and possible future site of the ASTRID Gen-IV reactor. In September 2010 the French government allocated 651.6 million euros to the Commissariat à l'énergie atomique to finalize the design of "Astrid" (Advanced Sodium Technological Reactor for Industrial Demonstration), a 600 MW reactor design of the 4th generation to be operational in 2020. As of 2013 the UK had shown interest in the PRISM reactor and was working in concert with France to develop ASTRID. In October 2010 GE Hitachi Nuclear Energy signed a memorandum of understanding with the operators of the US Department of Energy's Savannah River site, which should allow the construction of a demonstration plant based on the company's S-PRISM fast breeder reactor prior to the design receiving full NRC licensing approval. In October 2011 The Independent reported that the UK Nuclear Decommissioning Authority (NDA) and senior advisers within the Department for Energy and Climate Change (DECC) had asked for technical and financial details of the PRISM, partly as a means of reducing the country's plutonium stockpile. The traveling wave reactor proposed in a patent by Intellectual Ventures is a fast breeder reactor designed to not need fuel reprocessing during the decades-long lifetime of the reactor. The breed-burn wave in the TWR design does not move from one end of the reactor to the other but gradually from the inside out. Moreover, as the fuel's composition changes through nuclear transmutation, fuel rods are continually reshuffled within the core to optimize the neutron flux and fuel usage at any given point in time. Thus, instead of letting the wave propagate through the fuel, the fuel itself is moved through a largely stationary burn wave. This is contrary to many media reports, which have popularized the concept as a candle-like reactor with a burn region that moves down a stick of fuel. By replacing a static core configuration with an actively managed "standing wave" or "soliton" core, TerraPower's design avoids the problem of cooling a highly variable burn region. Under this scenario, the reconfiguration of fuel rods is accomplished remotely by robotic devices; the containment vessel remains closed during the procedure, and there is no associated downtime. 1 2 3 Waltar, A.E. ; Reynolds, A.B (1981). Fast breeder reactors. New York: Pergamon Press. p. 853. ISBN 978-0-08-025983-3. 1 2 3 4 "Pyroprocessing Technologies: RECYCLING USED NUCLEAR FUEL FOR A SUSTAINABLE ENERGY FUTURE" (PDF). Argonne National Laboratory. Retrieved 25 December 2012. 1 2 "www.ne.anl.gov/pdfs/12_Pyroprocessing_bro_5_12_v14%5B6%5D.pdf" (PDF). Argonne National Laboratory. Retrieved 25 December 2012. ↑ Weinberg, A. M., and R. P. Hammond (1970). "Limits to the use of energy," Am. Sci. 58, 412. ↑ "Radioactive Waste Management". World Nuclear Association. 1 2 "Supply of Uranium". World Nuclear Association. Retrieved 11 March 2012. 1 2 Bodansky, David (January 2006). "The Status of Nuclear Waste Disposal". Physics and Society. American Physical Society. 35 (1). ↑ "Information Paper 15". World Nuclear Association. Retrieved 15 December 2012. ↑ U. Mertyurek; M. W. Francis; I. C. Gauld. "SCALE 5 Analysis of BWR Spent Nuclear Fuel Isotopic Compositions for Safety Studies" (PDF). ORNL/TM-2010/286. OAK RIDGE NATIONAL LABORATORY. Retrieved 25 December 2012. 1 2 3 4 E. A. Hoffman; W.S. Yang; R.N. Hill. "Preliminary Core Design Studies for the Advanced Burner Reactor over a Wide Range of Conversion Ratios". Argonne National Laboratory. ANL-AFCI-177. ↑ Kadak, Prof. Andrew C. "Lecture 4, Fuel Depletion & Related Effects". Operational Reactor Safety 22.091/22.903. Hemisphere, as referenced by MIT. p. Table 6–1, "Average Conversion or Breeding Ratios for Reference Reactor Systems". Retrieved 24 December 2012. ↑ Rodriguez, Placid; Lee, S. M. "Who is afraid of breeders?". Indira Gandhi Centre for Atomic Research, Kalpakkam 603 102, India. Retrieved 24 December 2012. ↑ R. Prasad (10 October 2002). "Fast breeder reactor: Is advanced fuel necessary?". Chennai, India: The Hindu : Online edition of India's National Newspaper. ↑ Adams, R. (1995). Light Water Breeder Reactor, Atomic Energy Insights 1. ↑ Kasten, P.R. (1998) Review of the Radkowsky Thorium Reactor Concept. (PDF) Science & Global Security 7, 237–269. ↑ Fast Breeder Reactors, Department of Physics & Astronomy, Georgia State University. Retrieved 16 October 2007. ↑ Hiraoka, T., Sako, K., Takano, H., Ishii, T. and Sato, M. (1991). A high-breeding fast reactor with fission product gas purge/tube-in-shell metallic fuel assemblies. Nuclear Technology 93, 305–329. 1 2 T. Nakatsuka; et al. Current Status of Research and Development of Supercritical Water-Cooled Fast Reactor (Super Fast Reactor) in Japan. Presented at IAEA Technical Committee Meeting on SCWRs in Pisa, 5–8 July 2010. ↑ R. Bari; et al. (2009). "Proliferation Risk Reduction Study ofAlternative Spent Fuel Processing" (PDF). BNL-90264-2009-CP. Brookhaven National Laboratory. Retrieved 16 December 2012. ↑ C.G. Bathke; et al. (2008). "An Assessment of the Proliferation Resistance of Materials in Advanced Fuel Cycles" (PDF). Department of Energy. Retrieved 16 December 2012. ↑ "An Assessment of the Proliferation Resistance of Materials in Advanced Nuclear Fuel Cycles" (PDF). 2008. Retrieved 16 December 2012. ↑ Ozawa, M.; Sano, Y.; Nomura, K.; Koma, Y.; Takanashi, M. "A New Reprocessing System Composed of PUREX and TRUEX Processes For Total Separation of Long-lived Radionuclides" (PDF). ↑ Simpson, Michael F.; Law, Jack D. (February 2010). "Nuclear Fuel Reprocessing" (PDF). Idaho National Laboratory. ↑ Kang and Von Hippel (2001). "U-232 and the Proliferation-Resistance of U-233 in Spent Fuel" (PDF). 0892-9882/01. Science & Global Security, Volume 9 pp 1-32. Retrieved 18 December 2012. ↑ "Neutron Cross Sections4.7.2". National Physical Laboratory. Retrieved 17 December 2012. ↑ David, Sylvain; Elisabeth Huffer; Hervé Nifenecker. "Revisiting the thorium-uranium nuclear fuel cycle" (PDF). europhysicsnews. ↑ US DOE Nuclear Energy Research Advisory Committee (2002). "A Technology Roadmap for Generation IV Nuclear Energy Systems" (PDF). GIF-002-00. ↑ "The Integral Fast Reactor". Reactors Designed by Argonne National Laboratory. 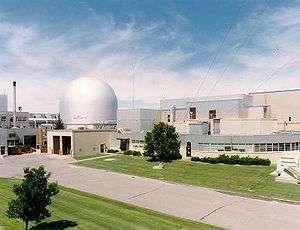 Argonne National Laboratory. Retrieved 2013-05-20. ↑ "National Policy Analysis #378: Integral Fast Reactors: Source of Safe, Abundant, Non-Polluting Power - December 2001". ↑ Hannum, W.H., Marsh, G.E. and Stanford, G.S. (2004). PUREX and PYRO are not the same. Physics and Society, July 2004. ↑ University of Washington (2004). Energy Numbers: Energy in natural processes and human consumption, some numbers. Retrieved 16 October 2007. ↑ Kirsch, Steve. "The Integral Fast Reactor (IFR) project: Congress Q&A". ↑ Stanford, George S. "Comments on the Misguided Termination of the IFR Project" (PDF). ↑ "files.asme.org/ASMEORG/Communities/History/Landmarks/5643.pdf" (PDF). Archived from the original (PDF) on 29 November 2007. ↑ Stenger, Victor (12 January 2012). "LFTR: A Long-Term Energy Solution?". Huffington Post. ↑ M.V. Ramana; Mycle Schneider (May–June 2010). "It's time to give up on breeder reactors" (PDF). Bulletin of the Atomic Scientists. 1 2 Frank von Hippel; et al. (February 2010). Fast Breeder Reactor Programs: History and Status (PDF). International Panel on Fissile Materials. ISBN 978-0-9819275-6-5. Retrieved 28 April 2014. ↑ "Global Uranium Supply and Demand - Council on Foreign Relations". ↑ Len Koch, pioneering nuclear engineer (2013). Pandora's Promise (Motion picture). Impact Partners and CNN Films. 11 minutes in. Archived from [ and the original] Check |url= value (help) (DVD, streaming) on 18 April 2014. Retrieved 24 Apr 2014. One pound of uranium, which is the size of my fingertip, if you could release all of the energy, has the equivalent of about 5,000 barrels of oil. ↑ S. R. Pillai, M. V. Ramana (2014). "Breeder reactors: A possible connection between metal corrosion and sodium leaks". Bulletin of the Atomic Scientists. 70 (3). doi:10.1177/0096340214531178. Retrieved 15 February 2015. ↑ "Database on Nuclear Power Reactors". PRIS. IAEA. Retrieved 15 February 2015. ↑ FSUE "State Scientific Center of Russian Federation Research Institute of Atomic Reactors". "Experimental fast reactor BOR-60". Retrieved 15 June 2012. ↑ Srikanth (27 November 2011). "80% of work on fast breeder reactor at Kalpakkam over". Kalpakkam: The Hindu. Retrieved 25 March 2012. ↑ Jaganathan, Venkatachari (11 May 2011). "India's new fast-breeder on track, nuclear power from September next". Chennai: Hindustan Times. Retrieved 25 March 2012. ↑ "IAEA Fast Reactor Database" (PDF). ↑ "China's experimental fast neutron reactor begins generating power". xinhuanet. July 2011. Retrieved 2011-07-21. ↑ Qimin, Xu (26 January 2011). "The future of nuclear power plant safety "are not picky eaters"" (in Chinese). Retrieved 30 October 2011. Yesterday, as the Chinese Academy of Sciences of the first to start one of the strategic leader in science and technology projects, "the future of advanced nuclear fission energy - nuclear energy, thorium-based molten salt reactor system" project was officially launched. The scientific goal is 20 years or so, developed a new generation of nuclear energy systems, all the technical level reached in the test and have all the intellectual property rights. ↑ Clark, Duncan (16 February 2011). "China enters race to develop nuclear energy from thorium". Environment Blog. London: The Guardian (UK). Retrieved 30 October 2011. ↑ "Kirk Sorensen has started a Thorium Power company Flibe Energy". The Next Bi Future. 23 May 2011. Retrieved 30 October 2011. ↑ "Live chat: nuclear thorium technologist Kirk Sorensen". Environment Blog. London: The Guardian (UK). 7 September 2001. Retrieved 30 October 2011. ↑ Martin, William T. (27 September 2011). "New Huntsville company to build thorium-based nuclear reactors". Huntsville Newswire. Retrieved 30 October 2011. ↑ "Белоярская АЭС: начался выход БН-800 на минимальный уровень мощности". AtomInfo.ru. Retrieved 27 July 2014. ↑ "Запущен первый реактор на быстрых нейтронах БН-800, построенный в России". mining24.ru. Retrieved 22 December 2015. ↑ "До 2030 в России намечено строительство трёх энергоблоков с реакторами БН-1200". AtomInfo.ru. Retrieved 27 July 2014. ↑ "Russia postpones BN-1200 in order to improve fuel design". World Nuclear News. 16 April 2015. Retrieved 19 April 2015. ↑ "Fast moves for nuclear development in Siberia". World Nuclear Association. Retrieved 8 October 2012. ↑ "Department of Energy - Generation IV International Forum Signs Agreement to Collaborate on Sodium Cooled Fast Reactors". ↑ World Nuclear News (16 September 2010). "French government puts up funds for Astrid". Retrieved 15 June 2012. ↑ "Quatrième génération : vers un nucléaire durable" (PDF) (in French). CEA. Retrieved 15 June 2012. ↑ "Prototype Prism proposed for Savannah River". World Nuclear News. 28 October 2010. Retrieved 2010-11-04. ↑ Connor, Steve (28 October 2011). "New life for old idea that could dissolve our nuclear waste". The Independent. London. Retrieved 2011-10-30. ↑ "TR10: Traveling Wave Reactor". Technology Review. March 2009. Retrieved 2009-03-06. Reactors Designed by Argonne National Laboratory: Fast Reactor Technology Argonne pioneered the development of fast reactors and is a leader in the development of fast reactors worldwide. See also Argonne’s Nuclear Science and Technology Legacy.